We are excited to announce that we will be transitioning from our current grant management system to a new system that better fits our needs and delivers a more user-friendly and efficient experience for you, our applicants. To accommodate the move to a new grants management system, we are building in downtime in our funding schedule to ensure a smooth transition. 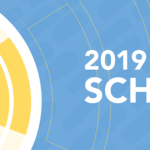 Scheduling adjustments will impact deadlines for both 2019 applicant defined and 2019 foundation defined grants. We have made our best effort to minimize the impact this downtime will have to our applicants. As with any technology conversion project, the timeline can be unpredictable. The following information is a general idea of how the transition will impact our funding schedule, but we wanted to notify you ahead of time so your organization may plan accordingly. We anticipate having final 2019 application dates set by late fall. * Announcements will be made via our enewsletters and on the blog. 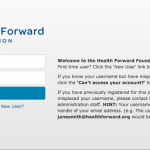 We recommend that you sign up for Health Forward’s electronic communications, if you haven’t already, and watch this website for updates. PLEASE NOTE: the following timeframe is TENTATIVE and subject to change. We will suspend accepting applications for applicant defined grants for at least a two-month period. Therefore, your last opportunity to apply for an applicant defined grant in 2018 will be in November. This is NOT a tentative estimate. There will be NO changes to the applicant defined grant budget. All dollars will still be distributed in 2019 but in a condensed time period. We are still determining how much we will allocate each month as it will likely depend on the volume of applications. 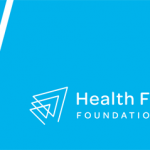 Healthy Communities Grants: The deadline for the letters of intent and full proposal for Healthy Communities funding will likely be delayed two months. Therefore, letters of intent tentatively will be submitted in March and full proposals in April. The award announcement will only be delayed a few weeks, likely announced in July. Mental Health Grants: The deadline for the letters of intent and full proposal for Mental Health funding will likely be delayed two months. Therefore, letters of intent will be submitted in May and full proposals in June. The award announcement will only be delayed a few weeks, likely announced in September. Safety Net Grants: There are no anticipated changes to the normal funding schedule for Safety Net applications and awards. Stay tuned for additional information about our new grants management system and training opportunities in early 2019. Call your program officer or Health Forward’s main line (816-241-7006) with any questions. *Originally published as October. We had to push that announcement back to shore up the preciseness of the deadline schedule.